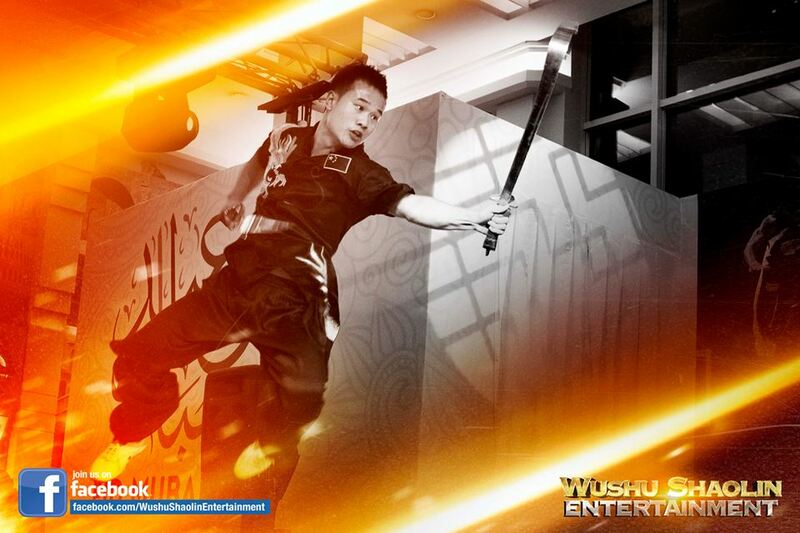 Wushu Shaolin Entertainment is the premiere Dragon Dance, Lion Dance, and Kung Fu production company in the industry. We specialize in creating new and original content for stage, television, and film. Our team of producers and Chinese Cultural Artisans are experts in producing specialized presentations for clients across the globe. 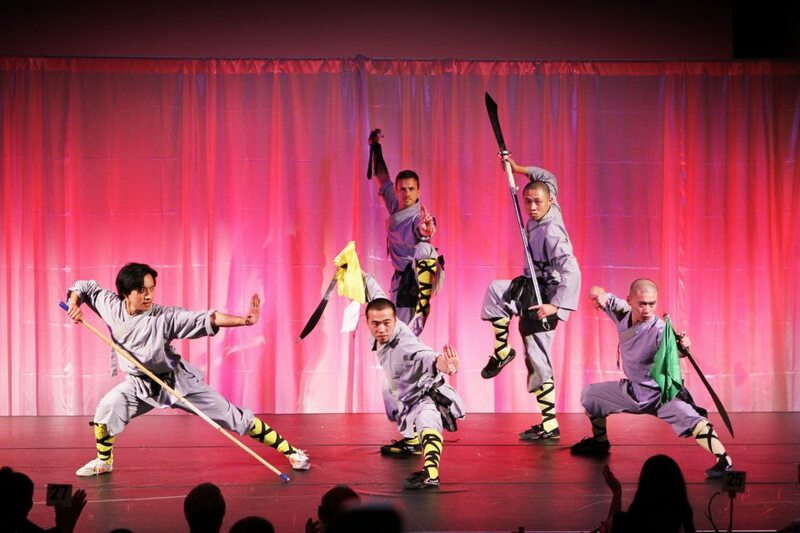 Many of our productions include Shaolin Warrior monks, Black Belt Wushu champions, and industry level stunt professionals. For more than a millennium, the Shaolin Warriors are renowned for their martial arts prowess, spectacular Kung Fu weaponry, and captivating feats of strength that test the limit of human ingenuity. The Kung Fu they developed would later pave a foundation for modern martial arts. For centuries, the Shaolin way of life was hidden from the world and only the most dedicated disciples were privileged to join the sacred temple. Following the Chinese Cultural Revolution and the restoration of the fabled Shaolin Temple in 1991, hundreds of Shaolin Monks have scoured the globe teaching and spreading the treasured way of life known as Chan Wu (禅武), throughout the world. 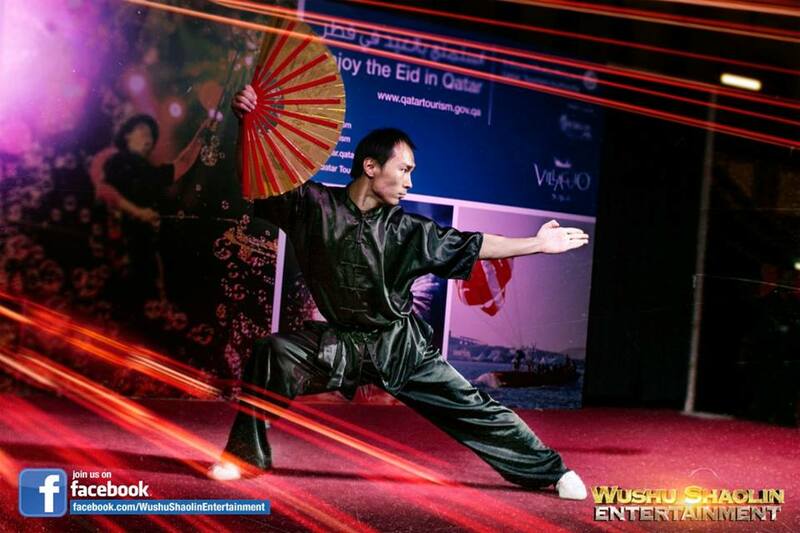 Wushu Shaolin Entertainment is at the forefront of Shaolin Kung Fu and works diligently to promote the culture and way of life while producing entertaining spectacular presentations for clients. 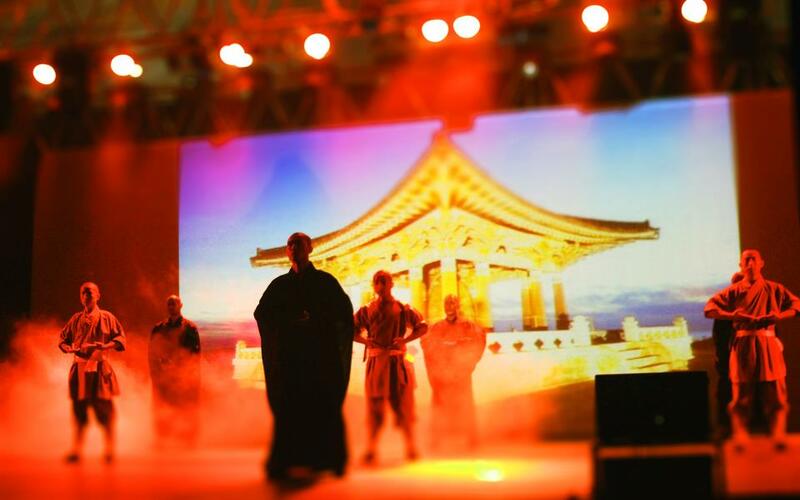 The company works together with actual Shaolin Warrior disciples, leading producers, and wushu athletes to create original content for venues. 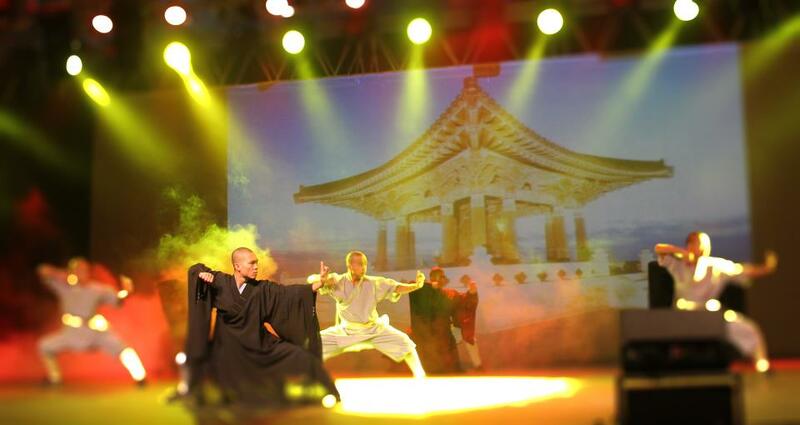 Shaolin, in popular culture, has taken on a second life. Since the 1970s, it has been featured in many films, TV shows, video games, cartoons, and other media. While much of this is a commercialized aspect of Shaolin, it is also widely credited as keeping the 1500-year-old temple in the consciousness of the world, and from vanishing into obscurity like many other ancient traditions. The Abbot of Shaolin, Shi Yong Xin, has decided to embrace modern day pop culture and has used it to the advantage of the temple to keep the temple prominent on the world stage. Shaolin monks have been featured on Fight Science, a National Geographic television series, performing feats of strength, endurance, and martial arts. The 1970s television series Kung Fu starred David Carradine as Kwai Chang Caine, a Shaolin monk on the run in the Wild West whose Zen (Ch’an) training is tested along his journey. Carradine’s part was originally to be played by Bruce Lee but Lee was pulled at the last minute before airing for looking “too Chinese” for an American public accustomed to white actors portraying ethnic minority characters for a mainly white audience. However, the character of Caine was supposed to be of mixed Chinese and European ancestry – a fact which may have also had an influence on this decision. In the 1990s, Carradine starred in the series Kung Fu: The Legend Continues, which followed the grandson and great-grandson of the original Caine in a large modern city. In 1977, the cult classic Shaw Brothers film Shaolin Temple was released and in 1982 a film by the same name starring Jet Li is credited as a major reason for the revival of the Shaolin Temple in China after the Cultural Revolution. 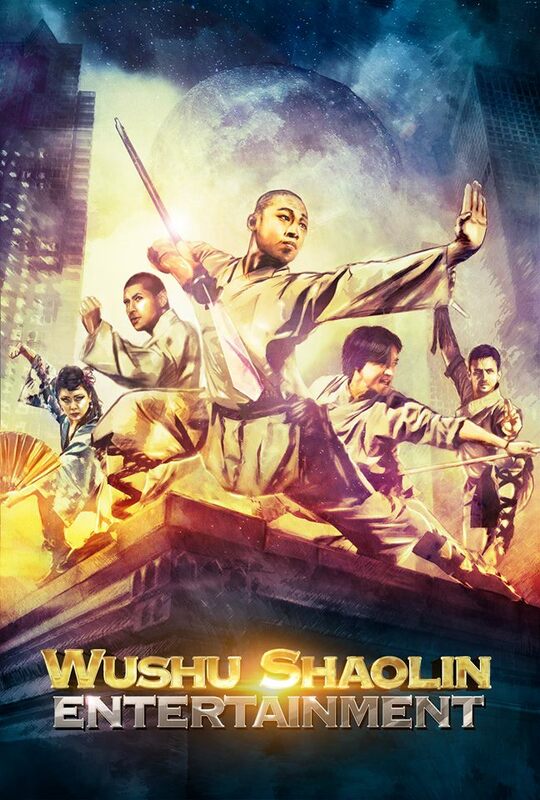 The film’s story tells the legend of the Shaolin Temple. This film is followed by countless other films, including another Shaw Brothers film entitled The 36th Chamber of Shaolin, which depicts the training of the legendary Shaolin monk San Te. In the 1990s, American hip-hop group The Wu Tang Clan arose, often making frequent references to Shaolin, sometimes as a name for their home, Staten Island, New York. The references arise from the group growing up in Staten Island in the late 1970s, and being influenced by movie theaters playing and advertising Kung Fu movies based on the Shaolin fighting style. Video games and cartoons begin to also feature Shaolin, such as the cartoon Xiaolin Showdown. Liu Kang, the main character in theMortal Kombat series, is a Shaolin monk, and Kung Lao from the same series, is also a Shaolin monk who seeks to avenge the temple’s destruction, (led by Baraka inMortal Kombat‘s story), they were so popular, they were turned into their own video game, Mortal Kombat Shaolin Monks. Krillin, a character in the Dragon Ball/Dragon Ball Z universe, is also a Shaolin monk, though he abandons the Shaolin fighting style in favor of Muten-Rôshi‘s Turtle technique. In 2000’s, Shaolin gets pop-culture recognition by appearing on The Simpsons (TV series), where they visit the Shaolin Temple in the episode Goo Goo Gai Pan, which first aired in 2006. That same year, the Abbot of Shaolin invites the K-Star martial arts reality TV show to film a TV series of foreigners competing to survive Shaolin style training. Two prominent publications about Shaolin were published in 2007, including the first ever photo documentary on the temple entitled Shaolin: Temple of Zen, published by the non-profit Aperture Foundation, featuring the photos of National Geographic photographer Justin Guariglia. The Shaolin Abbot, Shi Yong Xin, has written the foreword attesting the authenticity of the project. These became the first photographs seen of monks practicing classical kung fu inside the temple. American author Matthew Polly, also has written a book recounting his story of his two years living, studying, and performing with the Shaolin monks in China in the early 1990s. A third, more academic book, is “The Shaolin Monastery; History, Religion, and the Chinese Martial Arts,” published by the Israeli Shaolin scholar Meir Shahar in 2008 about the history of the Shaolin Temple. While some of these are clear commercial exploitation of the Shaolin Temple and its legends, they have helped make Shaolin a household name around the world, and kept the temple alive in the minds of many young generations. To date, no other temple in the world has achieved such widespread recognition. Chinese martial arts, colloquially referred to as kung fu or gung fu (Chinese: 功夫; pinyin: gōngfu or Cantonese), and wushu(simplified Chinese: 武术; traditional Chinese: 武術; pinyin: wǔshù), are a number of fighting styles that have developed over the centuries in China. These fighting styles are often classified according to common traits, identified as “families” (家, jiā), “sects” (派, pài) or “schools” (門, mén) of martial arts. Examples of such traits include physical exercises involving animal mimicry, or training methods inspired by Chinese philosophies, religions and legends. Styles that focus on qi manipulation are called internal (内家拳, nèijiāquán), while others that concentrate on improving muscle and cardiovascular fitness are calledexternal (外家拳, wàijiāquán). Geographical association, as in northern (北拳, běiquán) and southern (南拳, nánquán), is another popular classification method. In most of the largely spoken Chinese language varieties, the word kung fu (功夫) is pronounced phonetically as [kʊŋ fu] with an unaspirated [k] and a [ʊ] sound. However, in many other parts of the world, including most of the English-speaking world, the pronunciation, kungfu, has remained predominant. In terms of semantic meaning, kung fu and wushu are terms that have been borrowed into English to refer to Chinese martial arts. However, the Chinese terms kung fu andwushu listen (Mandarin) (help·info); Cantonese: móuh-seuht) have distinct meanings; the Chinese literal equivalent of “Chinese martial art” would be Zhongguo wushu(Chinese: 中國武術; pinyin: zhōngguó wǔshù (Mandarin). The term wushu has also become the name for the modern sport of wushu, an exhibition and full-contact sport of bare-handed and weapons forms (Chinese: 套路, pinyin:tàolù), adapted and judged to a set of aesthetic criteria for points developed since 1949 in the People’s Republic of China. Quan fa (拳法) is another Chinese term for Chinese martial arts. It means “fist principles” or “the law of the fist” (Quan means “hand”, or “body” and fa means “law”, “way” or “study”). The name of the Japanese martial art Kenpō is represented by the same characters. In Chinese, kung fu (功夫, gōng meaning “work” or “achievement” and either fū, “man”, or fu, a particle or suffix that can mean “intensity”) can also be used in contexts completely unrelated to martial arts, and refers to any individual accomplishment or skill cultivated through long effort and hard work. It is only in the late twentieth century that this term was used in relation to martial arts by the Chinese community. 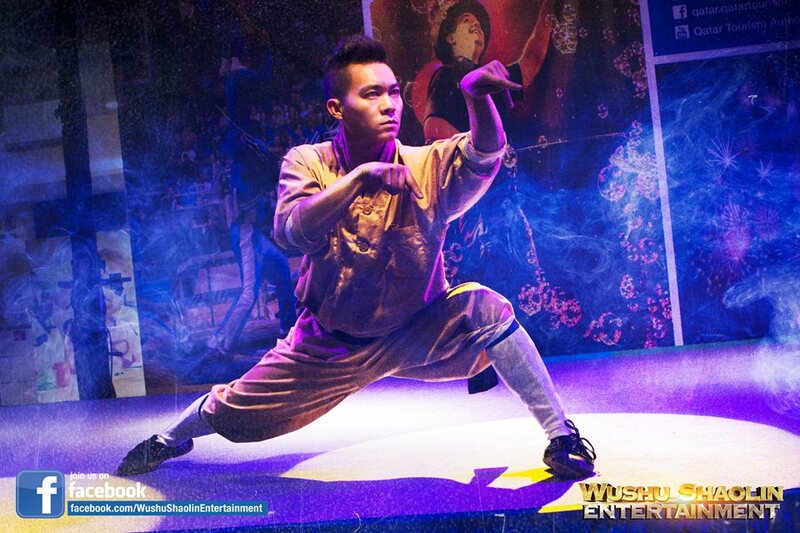 Wushu is a more precise term for general martial activities. The genesis of Chinese martial arts has been attributed to the need for self-defense, hunting techniques and military training in ancient China. Hand-to-hand combat andweapons practice were important in training ancient Chinese soldiers. Detailed knowledge about the state and development of Chinese martial arts becomes available from the Nanjing decade (1928–1937), as the Central Guoshu Instituteestablished by the Kuomintang regime made an effort to compile an encyclopedic survey of martial arts schools. Since the 1950s, the People’s Republic of China has organized Chinese martial arts as an exhibition and full-contact sport under the heading of Wushu. According to legend, Chinese martial arts originated during the semi-mythical Xia Dynasty (夏朝) more than 4,000 years ago. It is said the Yellow Emperor Huangdi(legendary date of ascension 2698 BCE) introduced the earliest fighting systems to China. The Yellow Emperor is described as a famous general who, before becoming China’s leader, wrote lengthy treatises on medicine, astrology and the martial arts. One of his main opponents was Chi You (蚩尤) who was credited as the creator of jiao di, a forerunner to the modern art of Chinese Wrestling. The earliest references to Chinese martial arts are found in the Spring and Autumn Annals (5th century BCE), where a hand to hand combat theory, including the integration of notions of “hard” and “soft” techniques, is mentioned. A combat wrestling system called juélì or jiǎolì (角力) is mentioned in the Classic of Rites. This combat system included techniques such as strikes, throws, joint manipulation, and pressure point attacks. Jiao Di became a sport during the Qin Dynasty (221–207 BCE). The Han History Bibliographies record that, by the Former Han (206 BCE – 8 CE), there was a distinction between no-holds-barred weaponless fighting, which it calls shǒubó(手搏), for which training manuals had already been written, and sportive wrestling, then known as juélì (角力). Wrestling is also documented in the Shǐ Jì, Records of the Grand Historian, written by Sima Qian (ca. 100 BCE).